Portland, OR. 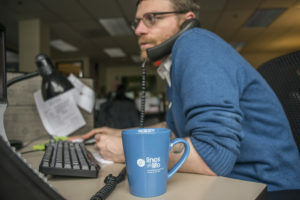 “If you need help, please call.” That’s the message from counselors at the local suicide prevention nonprofit, Lines for life — calling them is free and confidential. When famous individuals like Kate Spade or Anthony Bourdain commit suicide, experts worry that media coverage might prompt others to try to solve a temporary problem with an all too permanent, and tragic, solution. There were, for example, more calls than usual to the National Suicide Prevention Lifeline, (1-800-273-8255) after the death of Robin Williams. The Military Helpline operates 24/7/365 and gives free, confidential support to service members, veterans and their families. 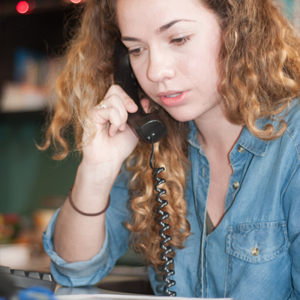 Answered by veterans and others trained in military culture, our crisis lines offer compassionate, non-judgmental support and, where appropriate, connect people with the referrals, resources, or treatment they need through tough times. In 2016, Lines for Life received more than 73,000 crisis calls—over 30,000 of which were to our dedicated military crisis lines. We talk with callers about concerns such as PTSD, finances, employment, relationships, and suicidal ideation. We de-escalate 95% of the suicide phone calls we receive to help callers find a way forward without the intervention of emergency services. Every day, 20 Veterans die by suicide. You can support Veterans, military service members, and their families by donating to Lines for Life today! Learn more about our military crisis support at militaryhelpline.org!